Ready for a much needed girls dinner/drinks! My friends and I try to do a girl’s dinner-gossip session every so often. Its hard cuz we are all super busy but it’s nice to dress up and enjoy good food and company. 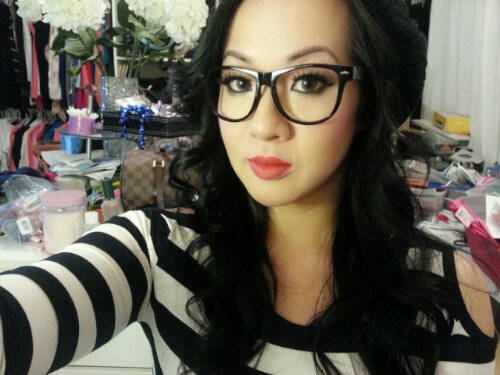 Tonight I’m going for a French/Parisian look. ? Lol. 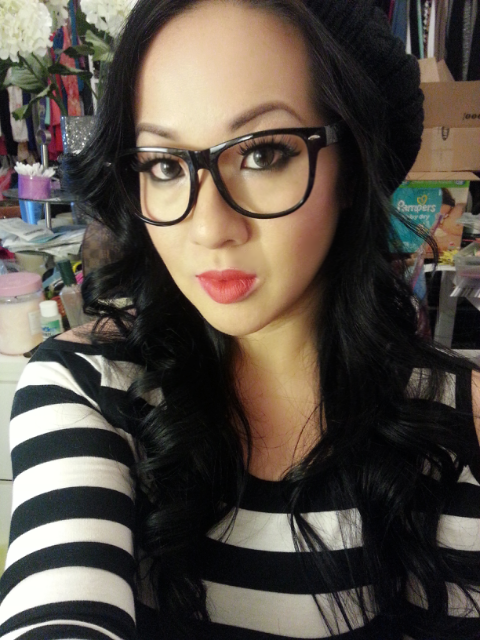 I have my beanie on, fake glasses, stripe shirt and red lips. Paired with pleather high-waisted shorts and black stockings, I’m good to go. Have a fab night cuz I know I will! !